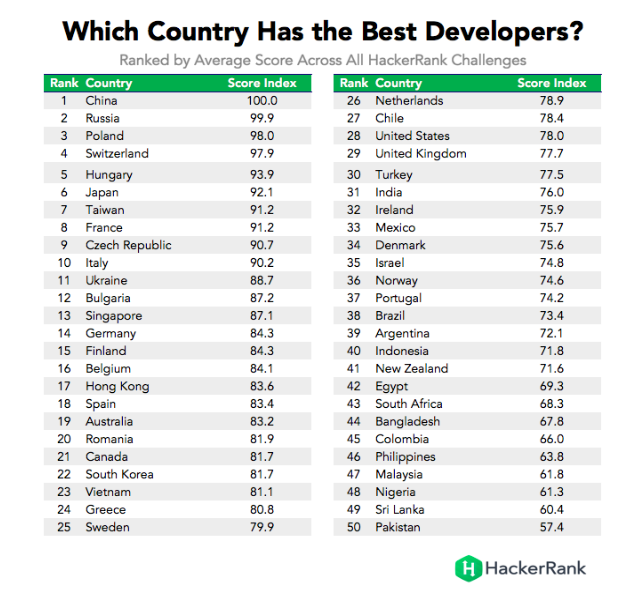 A new HackerRank study reveals that the Nigeria is not really making huge progress on coding. The study compiled the results of 1.4 million coding challenges by about 300,000 developers completed on the website HackerRank, a free coding practice website that doubles as a developer recruiting ground for companies such as Facebook and Airbnb. After breaking down the results by country, HackerRank found that U.S. coders landed in 28th place. 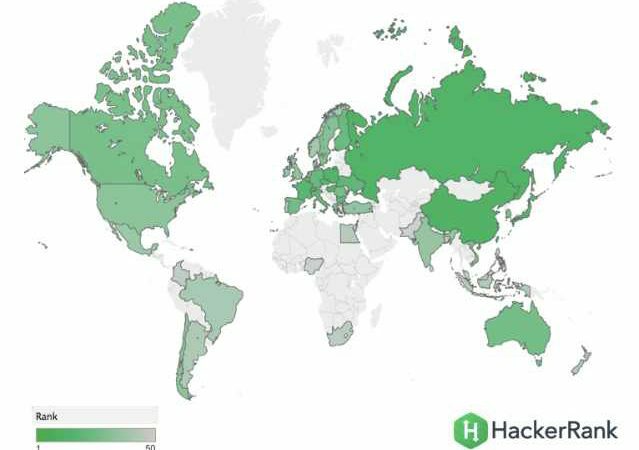 HackerRank found that the most talented coders were based in China, followed closely by Russia. Rounding out the top five were Poland, Switzerland and Hungary. The three poorest performing countries were Pakistan, Sri Lanka and Nigeria.